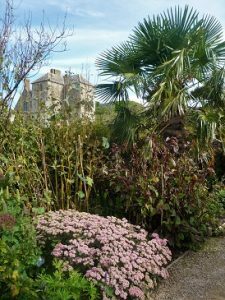 WIGHT IN BLOOM 2017- RESULTS.-ISLAND GARDENS BLOOM. 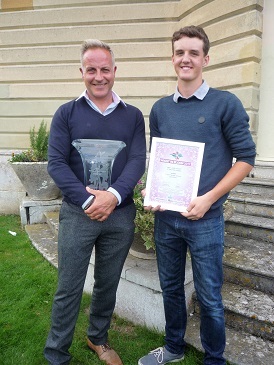 Northwood House, Cowes was once again the venue for the awards ceremony for this year’s Wight in Bloom competition-sponsored by Red Funnel. From the 131 entries, an increase of 25%, some 30+ gardeners who had entered the competition came together to find out who had taken the top spot in their category and who would be the overall winner to be presented with the Peggy Jarman Trophy. For the 2017 Wight in Bloom competition there were several entries from school gardens, which was an encouraging development and numbers of general entries across the 11 sections included those in a new category- ‘Best Water Feature’. Organised by Visit Isle of Wight, the third year of their involvement in the event, and saw Simon Dabell, Chair of VIOW compering the award Ceremony which was held in the ballroom of Northwood House. Simon introduced Wight in Bloom’s Patron Alan Titchmarsh MBE VMH DL and Simon’s interaction with Alan, who handed out the prizes, was just as entertaining as in other years when the two had worked together at the prizegiving. Alan had arrived fresh from meeting the Countess of Wessex, on her visit to the Earl Mountbatten Hospice. Having had an Island home for some 18 years Alan is always keen to promote the Garden Isle on his travels. Kevin George CEO of Red Funnel said his company would offer continued support to the competition with the gardens across the Island enhancing the visitors’ experiences. 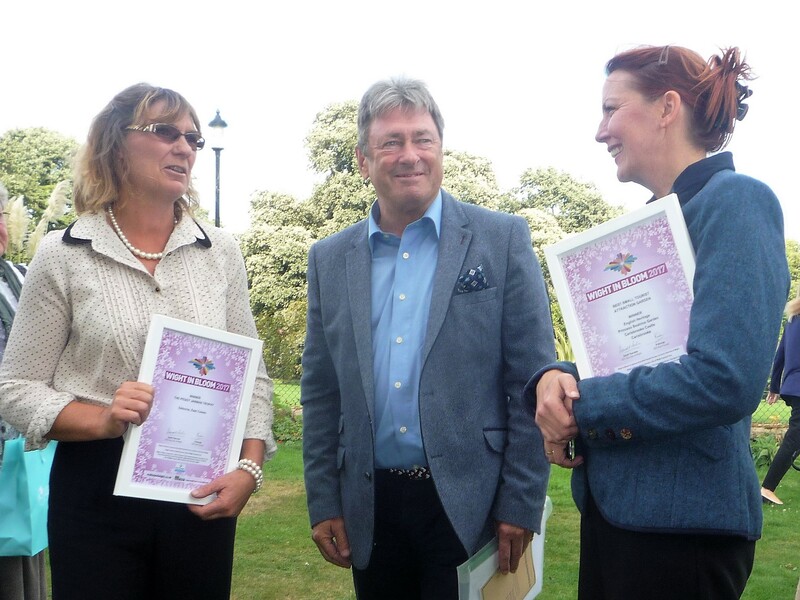 Red Funnel’s business was about the Island and they were delighted to support Wight in Bloom. Indeed, later Kevin confirmed his company was committed to long-term sponsorship of the event. Best Small Front Garden was won by Sandy Crump from Newport. Her garden was described as a real joy. On a sad note the runner up Linda Ryan from Sandown had died recently but her daughter was on hand to receive the prize. Large Front Garden -Terry Richards from Brighstone with his quintessentially English Garden. He pipped perennial achiever Oscar Stretch. Top Commercial Garden was the very large site at Haven Hall. Shanklin, described as stunning by judges. Senior Citizen Complex– judges chose a fantastic new seaside-inspired garden at Orchard House Care Centre, Fairlee Road, Newport. Young People Initiative attracted 11 schools and one solo entrant. 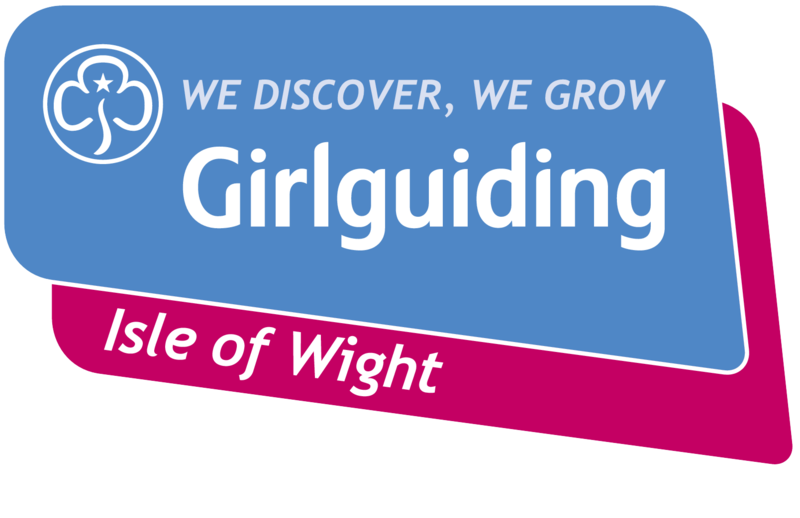 This award went to Arreton St. George’s Primary School with their well- maintained flower beds with excellent colour. Community Floral Project. An outstanding display of challenging plants maintained by dedicated volunteers-Northwood House. Small Tourist Attraction Garden. Princess Beatrice Garden at Carisbrooke Castle (EH) consists of formal and informal plants. Large Tourist Attraction Garden. Osborne House (EH) an absolute delight and a fantastic garden. Creative use of a Small Space.- A mobile Home garden of flowers and herbs created by Mrs. Poulton at Whippingham. Best Water Feature was erected when Peter Blow converted a small boat into a pond. Best Edible Garden. Pam Toms of Wyatts Lane, Northwood was the winner with her treat of a vegetable display. 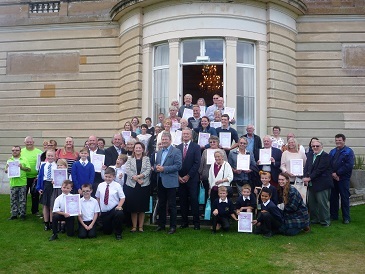 Winners in each category received certificates, gardening vouchers and tools, sponsored by local garden centres – Forest View and Honnor & Jeffrey – in recognition of the skill and pride they displayed in their gardens and neighbourhoods. Each category winner also received a goody bag with products from Liz Earle.